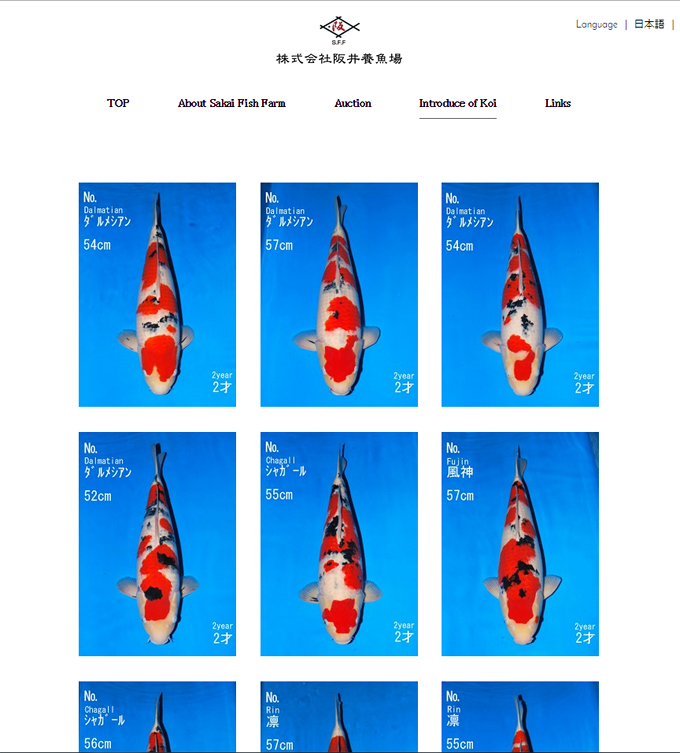 Click on this link Sakai Auction to view the koi that are going to be offered at Sakai of Hiroshima’s upcoming Fall Dealers Auction on October 8th. Don’t forget to check back frequently as new koi will continue to be added in the days leading up to the auction. Pan Intercorp will be in attendance and can bid on your behalf. If you see something that you would be interested in bidding on, or if you have questions regarding the Auction, call Joel Burkard at 206-769-4950 or Zak Schmidt at 800-827-5819. Customers purchasing koi through this auction will have the option of keeping their purchase in Japan, either to be boarded and grown on under the care of Sakai of Hiroshima or to be entered in any one of a number of Japanese koi shows, including the All Japan Show, the ZNA Show and the Rinyukai Show as well as many others. This entry was posted in Uncategorized on September 27, 2015 by koiadmin.